16th April 2018: Success is much sweeter when it keeps multiplying into gold, silver and bronze medals. The immense joy to experience such a chain of success is a rare phenomenon in the world of sports. 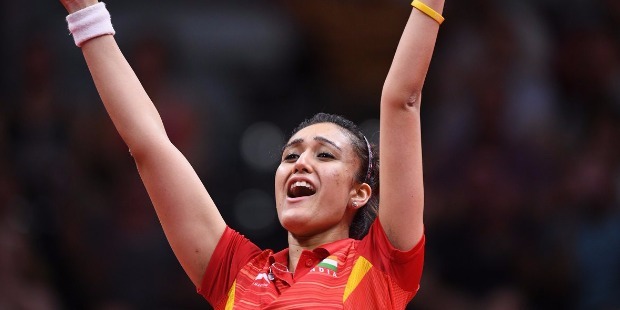 Manika Batra – India’s Table Tennis sensation created history to become the ‘First Indian Woman to win Gold Medal in Table Tennis Singles’ conquering Singapore’s Mengyu Yu 11-7, 11-6, 11-2, 11-7 in the finals of the recently concluded 2018 Commonwealth Games. She went onto add another Gold medal at the Indian Team won the Team Event. Manika paired with Mouma Das in the doubles event to concede the Gold medal to Singapore’s pair of Tianwei and Mengyu Yu in straight games 11-5, 11-4 and 11-5. With two Gold medals and a Silver medal in her bag, Manika paired with Sathiyan Gnanasekaran to win the mixed doubles Bronze medal beating compatriot Achanta Sharath Kamal and Mouma Das 11-6, 11-2, 11-4. Teaming up with Sathiyan Gnanasekaran she bagged the mixed doubles bronze, thereby winning a medal in every event she competed in at the Gold Coast Games. The unlimited joy was evident because she won, India won and her doubles’ partners won medals. 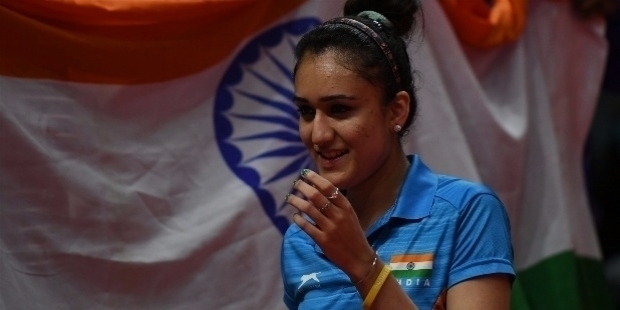 Manika Batra was born on the 15th of June 1995 in Delhi. She is the youngest in the family. Her elder sister Anchal and elder brother Sahil used to play Table Tennis, so the influence was evident for little Manika. She started playing at an early age of four. Even before she could attain the age of 8, she won a match in a State-level ‘Under-8 Tournament’. The Batra family realized little Manika was a natural in Table Tennis. She joined Hans Model School and commenced her training under Coach Sandeep Gupta in his academy. Focused about her goal, she concentrated on her training. Manika’s beauty attracted modeling offers, but she turned them down. Deep down in her heart, Manika had higher goals in life. As if on cue, Manika knew, she was cut out for something bigger and something sweeter in life’s journey. She was engrossed about a long-term goal that she trained hard to master all the skills. In the sporting arena, an individual has to sacrifice a lot and go through many tribulations to achieve the ultimate ‘Success’. Manika knew this fact from a very young age. At 16, she refused a scholarship to train in Sweden at the Peter Karlsson Academy. She joined the Jesus and Mary College for a year and dropped out to pursue Table Tennis. She won her first medal at the age of 16. She won the silver medal in the ‘Under-21 Category’ at the 2011 Chile Open. Representing India at the 2014 Commonwealth Games in Glasgow, she made it to the quarterfinals. 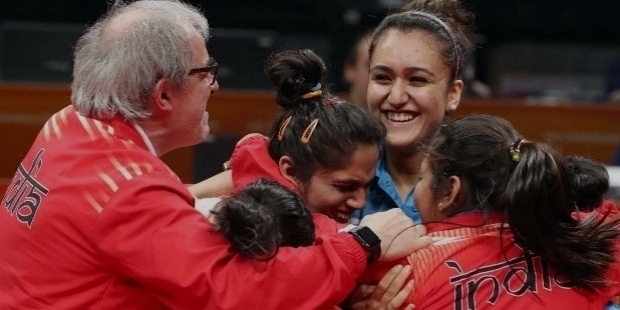 In the 2014 Asian Games, Manika Batra could not make her presence among the medal winners. She concentrated on her training to eliminate her flaws. At the 2015 Commonwealth Table Tennis Championship in Surat, Gujarat, Manika won three medals. In the singles, she won the Bronze medal. Manika won two Silver medals, one with Ankita Das in Women’s Doubles and another one in Women’s Team event with Ankita Das and Mouma Das. Manika Batra is a passionate paddler, whose rise has been phenomenal. Her unquenchable thirst for medals has seen her winning matches with deep concentration. In the 2016 South Asian Games, Manika won three Gold medals. 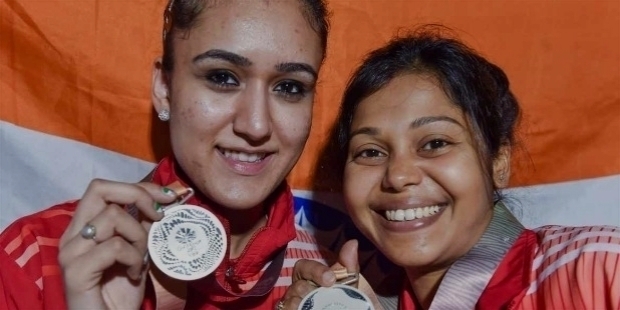 She won the first with doubles’ partner Pooja Sahasrabudhe, second with mixed doubles’ partner Anthony Amalraj and the third Gold medal in Women's Team event with Mouma Das and Shamini Kumaresan. She missed her fourth Gold medal in the Women’s Singles’ event. Mouma Das conquered Manika in the final to push her for the Silver medal. Manika represented India at the 2016 Rio Olympics. The pressure of Olympics games took the toll on her. She lost in the first round of Women’s Singles to Polish Katarzyna Grzybowska. This failure at the Rio Olympics taught her a great deal about her game’s weakness. Manika worked hard towards achieving higher pedestal. 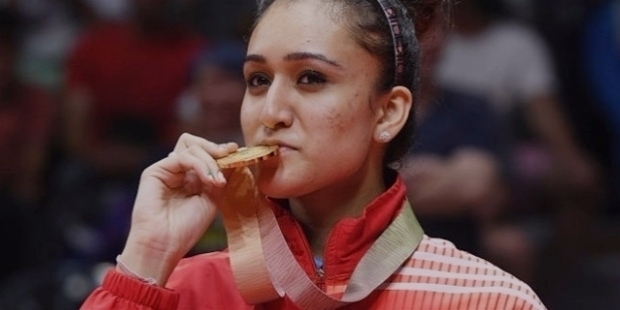 Manika Batra has created history in Table Tennis for India. She became the ‘First Indian Woman to win Gold Medal in Table Tennis Singles’ in Commonwealth Games. To go down in the annals of history, Manika Batra’s name will remain forever etched in golden letters. 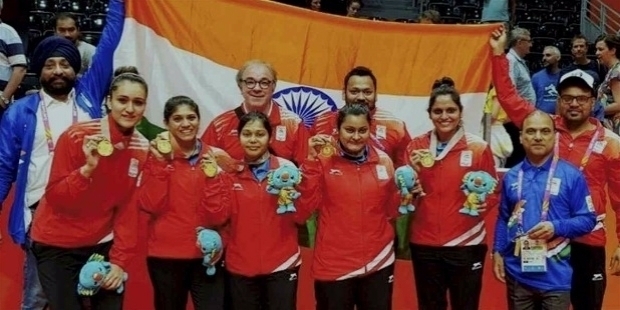 The Indian Women’s Team dominated the tables like they owned it at the 2018 Commonwealth Games in Gold Coast, Australia. Leading the Indian team from the front, Manika first defeated World No. 4 Feng Tianwei and Zhou Yihan for the Gold medal for the team. It is noteworthy to note that Singapore Women’s Table Tennis Team has never lost in the Commonwealth Games, ever since the sport was inducted in the program in 2002. The Team’s Gold is truly commendable for the Indian Women’s Table Tennis Team’s success.